A Tu-214ON reconnaissance aircraft designed by JSC Tupolev as a modified version of a Tu-214 passenger airliner, displayed at the exhibition of aircraft held at the Kubinka airdrome as part of the international military-technical forum ARMY 2016. The U.S. State Department has unexpectedly softened sanctions against Russia’s state arms exporter in order to buy new military reconnaissance equipment. Russian observers say that Washington is showing a pragmatic approach. The United States has unexpectedly softened its sanctions against Russia’s state arms exporter Rosoboronexport, but not in order to make life easier for Russian weapon producers. Washington apparently wants to know if the Russians have created a digital reconnaissance camera that is better than its U.S. equivalents and has made amendments to the sanctions list in order to purchase the Russian technology. The information on the introduction of technical changes to the list of sanctions against Russia appeared on the Federal Register site on Dec. 14, with a series of OSDCAM4060 sensors used for aerial surveillance and aerial photography removed from the list. As RBTH reported on Dec. 15, a Washington official explained the decision by saying that the purchase of the equipment "will enable the U.S. to assess Russia’s compliance with the Open Skies Treaty better." "They want to buy apparatuses to see if their technical parameters correspond to the characteristics that Russia declared," said reserve colonel and editor-in-chief of the Arsenal Otechestva defense magazine Viktor Murakhovsky. 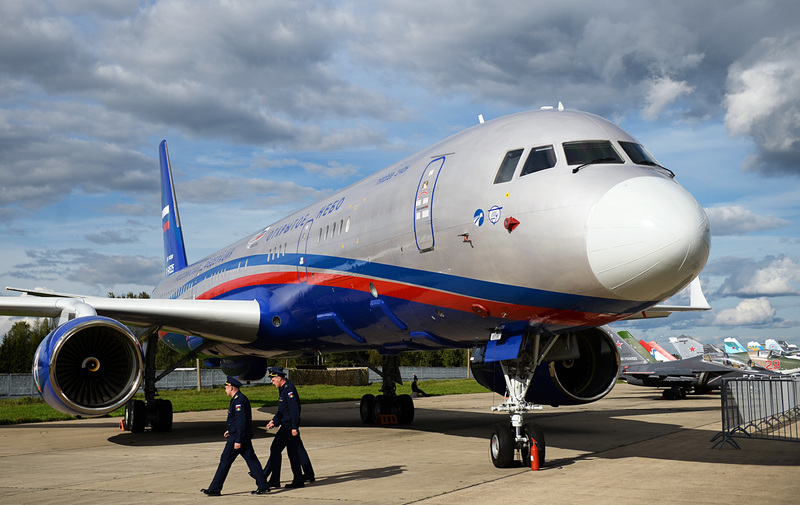 "The apparatuses' characteristics are written in the Treaty on Open Skies, but Russia has built the new Tu-214OS plane that it intends to use for surveillance flights over U.S. territory,” said Murakhovsky. “The U.S. suspects that the plane will use equipment whose resolution is higher than is specified in the agreement." This situation is only the latest in a series of scandals involving the new Russian Tu-214OS plane, which was built exclusively for implementing the Treaty on Open Skies (the initials “OS” stand for "open skies"). In March 2016, in an interview with security news website Defense One, head of the U.S. Strategic Command Admiral Cecil Haney said that the Treaty on Open Skies had become "an extremely important component for Russia to collect intelligence data on the United States." It was precisely the equipment to be installed in the Tu-215OS that was the cause of the high-ranking American military official's concern. Director of the U.S. Defense Intelligence Agency Lieutenant General Vincent Stewart has also expressed fears that the new equipment "will give Russia a significant advantage." "I don't see any reasons to deny America this opportunity. After all, we would be showing that we are open to cooperation. Otherwise, the situation could eventually result in abandoning the Treaty on Open Skies. But who will benefit from that? This is the only platform where cooperation between our powers has been preserved,” said Konovalov. "The Americans are pragmatic and when imposing sanctions they leave 'loopholes' that allow the federal government to bypass them, if this corresponds to U.S. state interests," said Ruslan Pukhov, director of the Center for Strategy and Technology Analysis. "Rosoboronexport is an important component of Russian foreign trade. Its mission is to promote Russian products in regions where we have potential clients, those whom we do not consider our enemies. No one in Russia ever said that the U.S. is our enemy." U.S. sanctions against Rosoboronexport were introduced on Sept. 2, 2015 as part of a series of measures aimed at punishing Moscow for its activities in Ukraine. American state institutions were prohibited from buying goods or services from the Russian state defense concern. In July 2016 a proviso was added to the sanctions, in accordance with which individual acquisitions would be allowed upon permission from the U.S. Secretary of State. One month earlier, in June, a group of congressmen wrote U.S. President Barack Obama an open letter proposing not to give Russia permission to use the updated devices in their surveillance flights over the United States held within the framework of the Treaty on Open Skies.